Who would I be singing with? What would I be singing? What is the time commitment I must make? OK.I'm interested. Who can I talk to .. ? 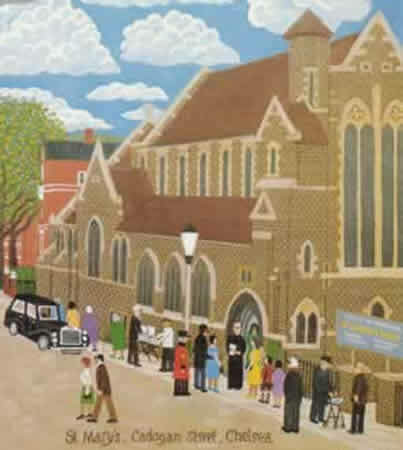 We are a voluntary group of singers, drawn from all over London, who have made St Mary’s, Cadogan Street our place of worship. We are fortunate to be led by a professional Director of Music. Our aim is to retain the traditional Latin liturgy for which the Gregorian Plainchant and other polyphonic music we sing was intended. We have an extensive and ever-expanding repertoire of both Masses & Motets ranging in period from Gregorian Chant, through the Renaissance and Baroque and the 19th Century revival, and up to the modern day. We are fortunate to have had a number of pieces especially written for us and new members will enable us to be even more ambitious. We sing a different polyphonic setting of the Mass (Kyrie or Gloria, Sanctus, Benedictus and Agnus Dei) every week, together with two polyphonic motets; in addition, we sing the Latin Propers of the Mass appropriate to that Sunday; that is: the plainchant Introit is sung by all the choir, as are the Gradual and Alleluia verses (usually to to a psalm melody due to time considerations); and the Offertory and Communion verses are sung by male voices only. We then sing the Recessional Marian Antiphon appropriate to the time in the Liturgical Year. Most of the music we sing is unaccompanied but, where required, the Organ is used. However, we always maintain the Catholic Liturgical Tradition of never using the organ during the Seasons of Lent and Advent. How good a singer do I need to be? We are looking for singers who can provide a positive contribution to the choir. We need people who can sing in tune and blend into the overall sound of the choir. Some sight reading is obviously required but you do not have to be an expert. Many of the current members have found that they have improved over time and if you are inexperienced this will be taken into account. Rehearsals are available for those who are less good at sight reading and need more practice. This can vary. Normally, we ask you to come along to a rehearsal and perhaps sing with the choir at a Mass (you would not be asked to sing alone on a line!) and the Director of Music will talk to you. It is usual to have a period of a few weeks probation where you sing with the Choir and we mutually establish whether your voice suits the Choir -- and vice versa ! We sing every Sunday at 1130hrs and the Mass usually takes between 50-70 minutes. We rehearse from c.1045hrs in the Rectory attached to the Church and, if you are singing that day, we expect members to be present at that. Additionally, a rehearsal is held every Thursday in the Church from 1925hrs, lasting no more than 2 hours. This enables those of us who are less good sight readers to learn/practise the music for the following Sunday and also learn new pieces. 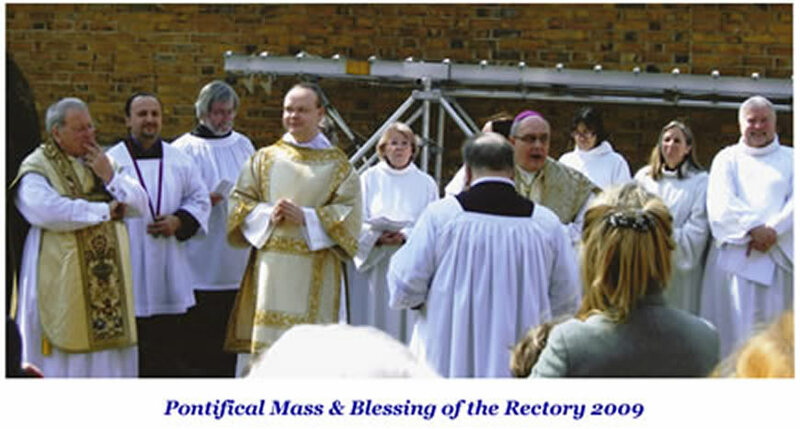 It is not mandatory to attend this provided that you ensure you attend the pre-Mass rehearsal on the following Sunday. While we would like you to, we recognise that this is not a reasonable stipulation. While most members do attend most Sundays, we would be happy to consider members who could only attend some weeks. A list is maintained for members to show their availability so that we always assure that we know who will be singing each future week. No. Currently only half of the members are Catholic and others have Anglican, Non-Conformist or agnostic backgrounds. While Christian membership is not necessary, the choir is an intrinsic part of the Mass and membership of the choir needs to be understood as a respectful participation in the liturgy. St Mary's parish is well-established and people without religious beliefs and members of other faiths or confessions are very welcome. I'm interested. Who can I talk to before committing? You can do all sorts of things! > Come along to one of our Sunday Masses to listen and then come and introduce yourself to one of the Choir members or Jack after the Mass. We hope to hear from you & look forward to meeting you ! !